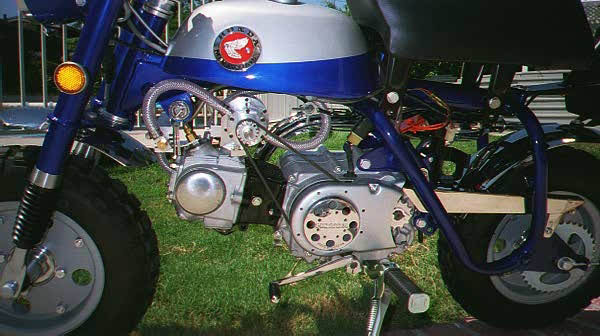 Supercharger for a Minibike by Robert Rosenfield - Millhill Supplies Ltd.
Robert Rosenfield recently completed a supercharger for a restored 1960’s Honda 50 mini trail bike. 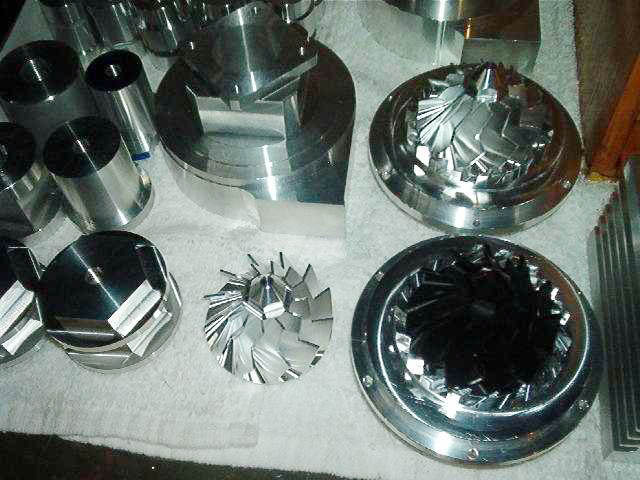 The parts for the supercharger body were mostly cut on a manual Sherline mill, but the turbine itself was cut using CNC on the Sherline mill. The Honda Trail 50 minibike fitted with the custom supercharger makes more horsepower. 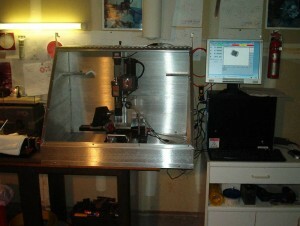 Robert’s shop with the sheet metal enclosure for the mill. 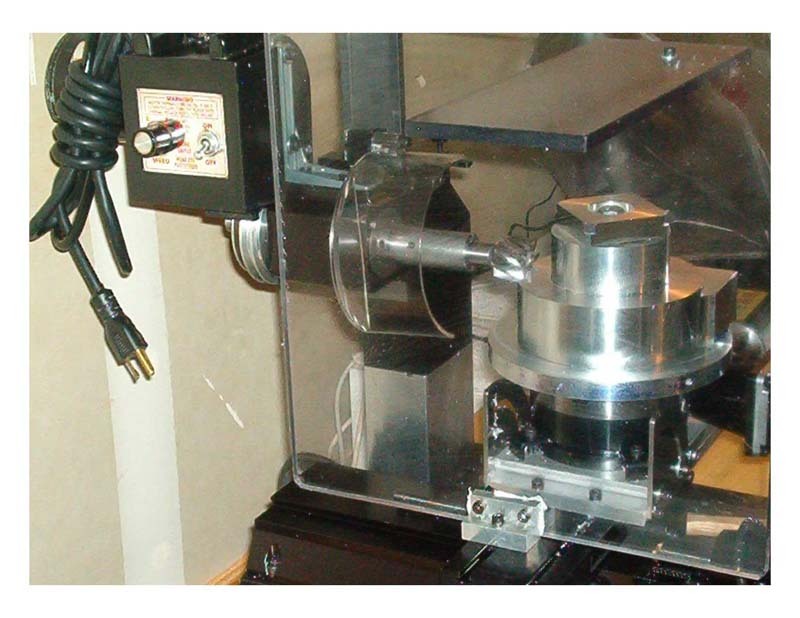 The horizontal mill setup used to cut the round parts on a rotary table. 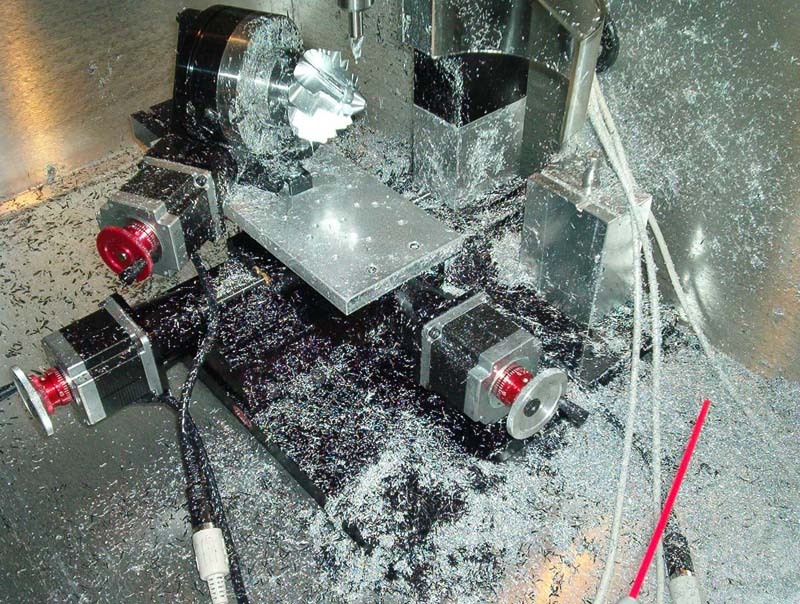 The second photo shows the rotary table offset at an angle on a tooling plate so that the turbine blades can be cut. 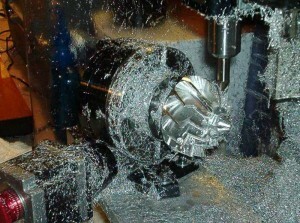 The 10° tapered 3/8″ end mill making the cuts. The finished turbine and some other parts in aluminum and delrin. The blades shown in these photos were made with a straight cut. 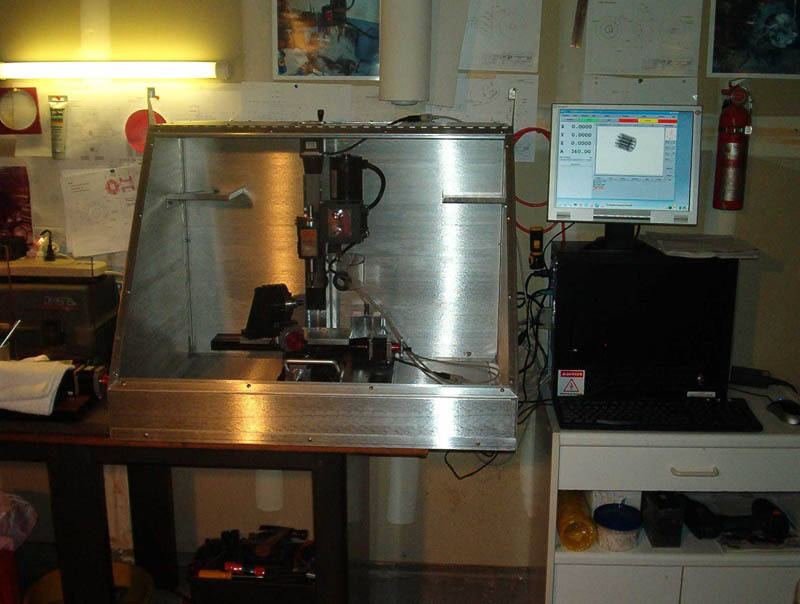 Robert has made later models where the tool path is a curve rather than straight, as he feels this should achieve better air movement as well as making for a more impressive looking part. 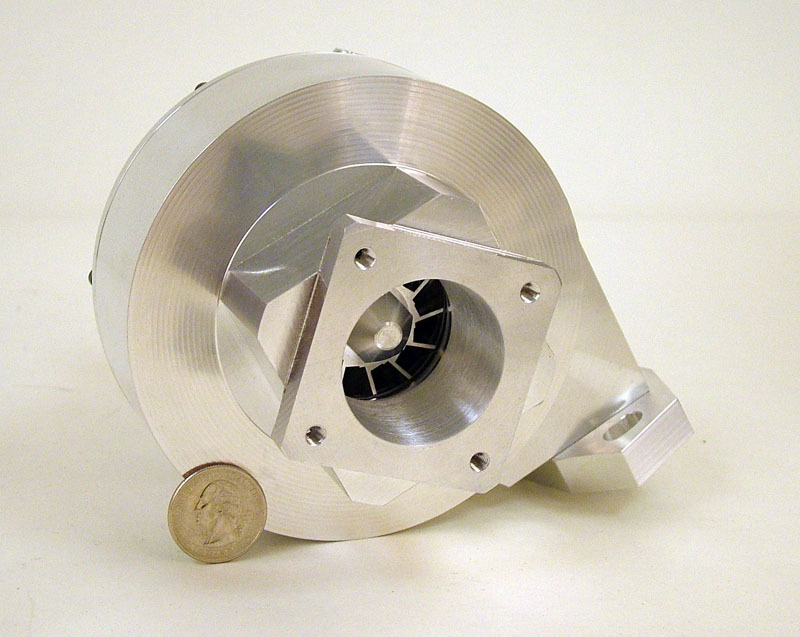 You can view a dimensioned drawing of the turbine in PDF format here: dimensional-turbine-drawing. Drawings of each of the other parts are also available upon request. 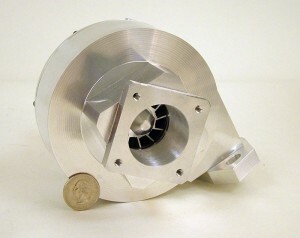 Robert’s latest compact supercharger design for small motors are shown below. Telephone for size comparison in first photo, a 25¢ US coin in final two photos. Overall dimensions are: 4-1/2″ O.D. x 5-1/2″ tall x 4-3/4″ wide. 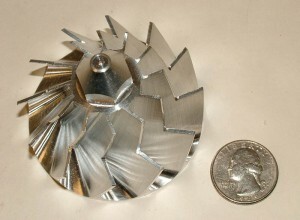 Original 63 mm (2-1/2″) 30º blade with left-hand thread. 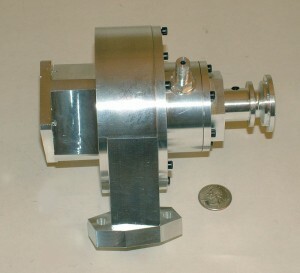 Design capabilities include 2-1 pressure ratio variable boost, maximum 100,000 RPM shaft speed, 24-34 mm carburetor sizing. 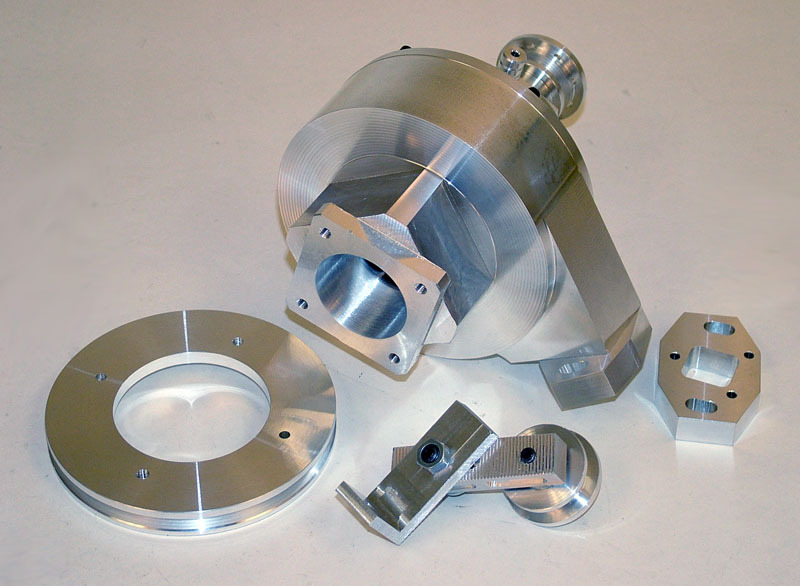 Pressure oil feed to plain bronze bearings with VitonT seals for high temperatures. 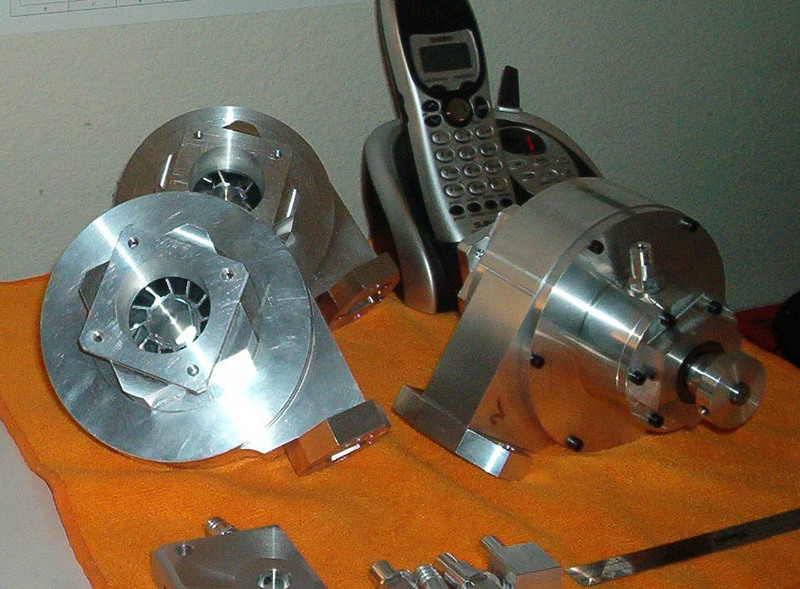 As usual, the photos show that Robert has also been able to obtain really nice finishes with his manual and CNC Sherline machines. 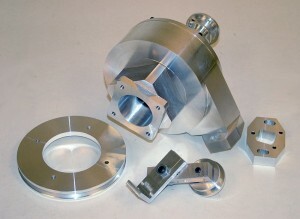 The main body is made from one large billet of aluminum. It can take several days of machining time to get it down to size. Although this could be done quicker on a larger, more powerful machine, it is interesting to note that the hobbyist with time and talent but limited funds and space can still achieve superb results with tabletop machine tools. 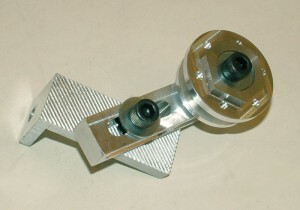 Here is an adjustable pulley tensioner assembly made by Robert, again with beautiful finishes.